Steam Greenlight was originally envisioned as a way for fans to help select which games would make it onto Valve's ridiculously ubiquitous PC gaming storefront. Unfortunately, it's kinda busted sometimes. A group of game creators has decided to take matters into their own hands by gaming the system. Kinda. Indie GameDev Greenlight is a recently established (and growing) Facebook group dedicated to one thing: developers upvoting each others' games on Steam Greenlight, largely because the system is not kind to smaller developers. Rule number one is: "Vote for others' projects. No questions asked." After that developers can submit their own games to receive the same treatment. Right now the group has over a hundred members. Some might see it as vote-spamming or taking advantage of the system, but members of the group insist they're doing what needs to be done in order to get by. Many of them have been caught in the cogs of the Greenlight machine for months, with no sign of movement. Originally Valve wanted game creators to engage with their fans—people like you and me—in order to achieve success on Greenlight. Developers post information and updates, fans decide if they're, well, fans, and games either climb the ranks or languish in obscurity. Over the years, however, problems with the system have been well-documented, and even Valve says they're going to get rid of it one day. For now, though, it's still around, and many smaller game creators are having trouble putting their games in front of the millions of eyeballs (and other human body parts, usually assembled) that Steam provides. The Indie GameDev Greenlight group's creator, Isosoftware founder and Palm Kingdoms developer Eugene Ivanov, believes what he's doing is necessary, as evidenced both by the number of developers who've already joined his group and results he's seen on Steam Greenlight himself. The group has yet to push any games through Greenlight—you need way more than 100 people to do that—but every little bit of incremental progress and exposure counts. Ivanov explained to me via email that getting visibility by way of Greenlight is very difficult since only a small subset of Steam users ever really check it. Moreover, Greenlight's built-in features—the ones that should benefit fans—are surprisingly light. "I subscribed to about 30 projects," Ivanov said, "and was surprised to find out they were greenlit and released. Steam didn't notify me of that, despite my subscription." It's a two-way street with a giant pit in the middle. Getting back to fans is harder than it needs to be unless they actively seek out new information. Meanwhile self-promotion is a big no-no on some major gaming forums, and gaming publications (Kotaku included) are often bombarded with so many tips that it's easy for some to slip through the cracks. In many ways the system asks too much of smaller developers while not really giving them a clear avenue toward success. It all goes back to a classic problem, the very reason Valve gave birth to its infernal Greenlight contraption in the first place: there are too many games for any single entity to manage. Nobody's devised an ideal way to handle the fact that so many games are being made these days—not even Valve. But is this indie collective a good response? Is it OK for developers to essentially vote-spam one another, to gain an upper hand nobody else has while also potentially de-emphasizing the importance of building communities? Shouldn't focus be on getting the attention of fans, not other developers? Ideally, yes, but a) Ivanov isn't technically breaking any of Valve's rules and b) he and many of his fellow game creators already tried getting Steam users to notice for a long time. It didn't work. "I don't think my Greenlight FB group goes against Steam's rules or policies," he said, backing up what I found when I read through Valve's rules. "I can't force anyone to vote for me, we're just offering a friendly community to showcase your game without getting booed." "My opinion is Greenlight is extremely difficult for an indie project to pass. For example, our project Palm Kingdoms was very successful on iOS, with over 150,000 fans that we inform about our new releases and updates. However, such audience turned out to be not enough to get greenlit. Our Greenlight page is currently #77, and it took us 260 days to get there (still not greenlit). And that's a very expensive, serious project—in development since 2012. Not all projects are like that, not every developer has a vast fanbase, and most of them can never get on Steam at all." Game creators often talk of getting "stuck" on Greenlight—having modest success, but not enough to push them into the upper echelon. Ivanov told me that, after consulting with other developers, he found out that it usually takes between 6,000 and 10,000 votes to make it onto Steam. But if you get stuck in the middle—find a strong, but not overwhelmingly powerful fanbase and lose the initial boost being on Greenlight's frontpage provides—it's hard to get out. Ivanov's group, then, is an attempt at escaping from that purgatory. "After our flagship project got stuck on Greenlight, we decided to try something in a different style and genre, and made a minimalistic multiplayer tower-building duel game Dwarf Tower—this time with a 100% working beta for Windows, Mac OS, and iOS," said Ivanov. "It was equally well received on Greenlight, and got nearly as many votes, and got stuck the same way: several thousand votes with no Steam distribution on the horizon. In fact, this game is already selling in other stores, but not on Steam." 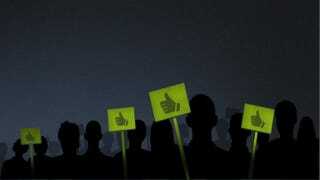 Will the Indie GameDev Greenlight group be the difference-maker these developers need? At its current size, probably not. But it's only been around for a few days, and it's gained quite a bit of traction. Beyond that, well, here's hoping Valve is close to either improving Greenlight in a big way or finally chucking it altogether in favor of a better system. Because right now, it's causing problems for everybody—players and game creators alike. Update (10/30/2014): In response to the Facebook group and methods outlined in this story, a Valve representative said the following: "Clearly this is not the feedback we are seeking from Greenlight. We do track these sorts of things and folks 'going this route' will likely not find the results they may have hoped for." So yeah, probably not great news for Indie GameDev Greenlight.